W.O.W - Words of Wisdom brings you tips, techniques and inspiration to live the life you deserve! 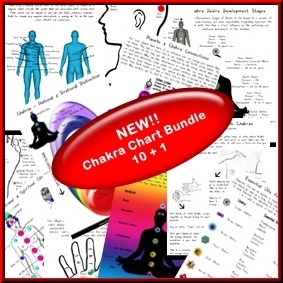 A Pack of 10 + 1 CHARTS - You don't want to miss this one! On our campus you will also find a number of energy healing courses, more wall charts and the tools necessary to become an Reiki Master. No matter where you are on your healing journey we have the exact tools for you to help you succeed and go forward. Please see the P.S. below!